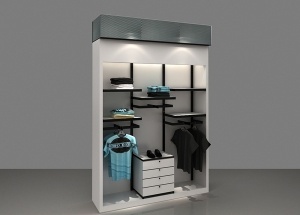 1000+ ideas of wall shelf unit for clothing store display for women,men,kids,underwear,boutique. 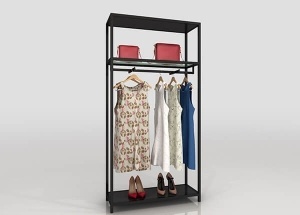 We are a clothing wall display cabinets/shelves/racks manufacturer in Guangzhou,China. We supply wall shelf unit,corner wall shelf,wall shelves for clothes,decorative metal wall shelves,boutique wall displays,wall display shelves,wall display racks for boutique clothing shops. 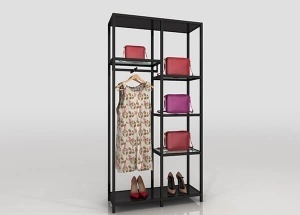 This retail clothing shelves: vertical veneer finished, one shelf for bags or shoes, one hanging racks for clothing. It provides a custom look with a factory price. 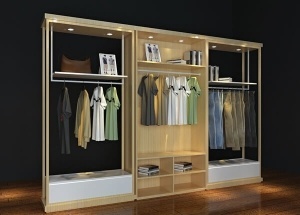 This boutique store fixtures: vertical veneer finished, 4 shelves for bags or shoes, one hanging racks for clothing. It provides a custom look with a factory price. 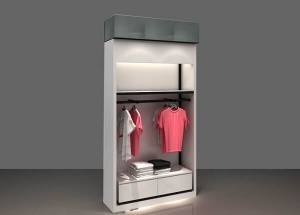 This boutique store fixtures: vertical veneer finished, laminated deck, shelves, rear panel, hanger rack, spot light, logo, toe-kick, black stainless steel, dust resistant,electrical cord with switch. We can custom made it fit your project. 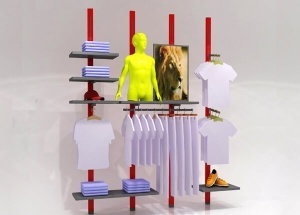 This clothing shop display shelving: vertical veneer finished, laminated deck, shelves, rear panel, hanger rack, spot light, drawer, logo, toe-kick. It provides a custom look with a factory price. This wall baby shop furniture: white baking finished, laminated deck, shelves, rear panel, hanger rack, drawer, logo, toe-kick. It provides a custom look with a factory price.